Grassy mountain meadows dotted with cattle are a common sight as you drive through Wyoming, known as the Cowboy State. Cattle ranching is the No. 1 agricultural commodity in Wyoming. However, Wyoming does not rank in the top 10 states for cattle production in the United States. According to 2012 statistics published by the United States Department of Agriculture's National Agricultural Statistics Service, Wyoming ranked 15th in the nation for cattle production. More than 1,360,000 bovines roamed Wyoming ranches during in 2012, a 5 percent increase from 2011. 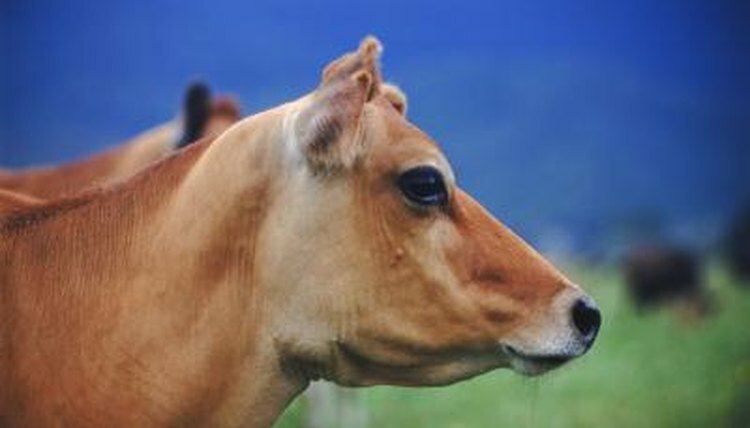 Most were beef cattle -- only 6,000 head of dairy cattle live in the state. Texas consistently leads top cattle production in the United States, followed by Kansas and Nebraska.